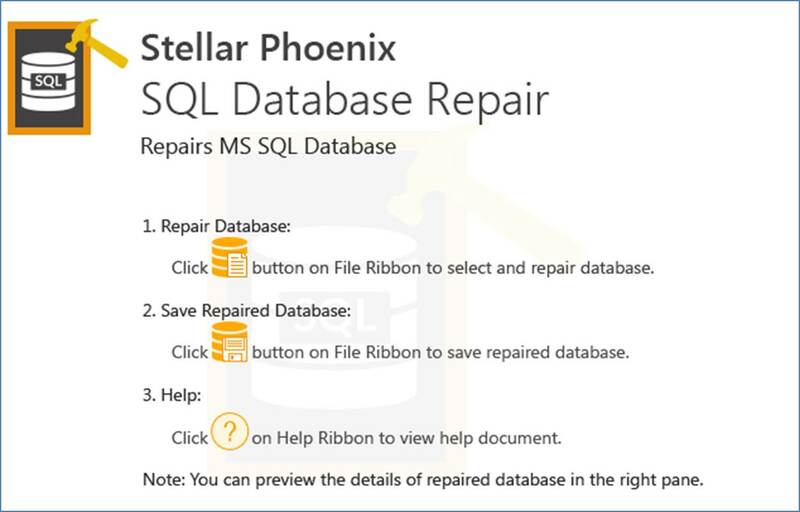 Though many SQL Administrators have found the SQL Database Repair software as one of the most competitive database repair and recovery tools, yet I thought of trying the software on my own. Let me explain you why? Installation is very simple with couple of steps. No special configurations are needed for SQL Repair database after installing. So it will be ready to use after installation. If you are a DBA, you need no more explanations on the fact that how valuable it is to recover your database. Currently, most common option available to you is to execute DBCC CHECKDB with few options. Also, you have the other options such as CHECKALLOC, CHECKTABLE, CHECKCATELOG. Details can be found at https://docs.microsoft.com/en-us/sql/t-sql/database-console-commands/dbcc-checkdb-transact-sql. However, if you are DBA you obviously know how difficult to get your data recovered from the above options. In most cases, you have to restore from last backup, which might lead to a data loss, and I am sure that it is not very happy to suffer the from data losses. 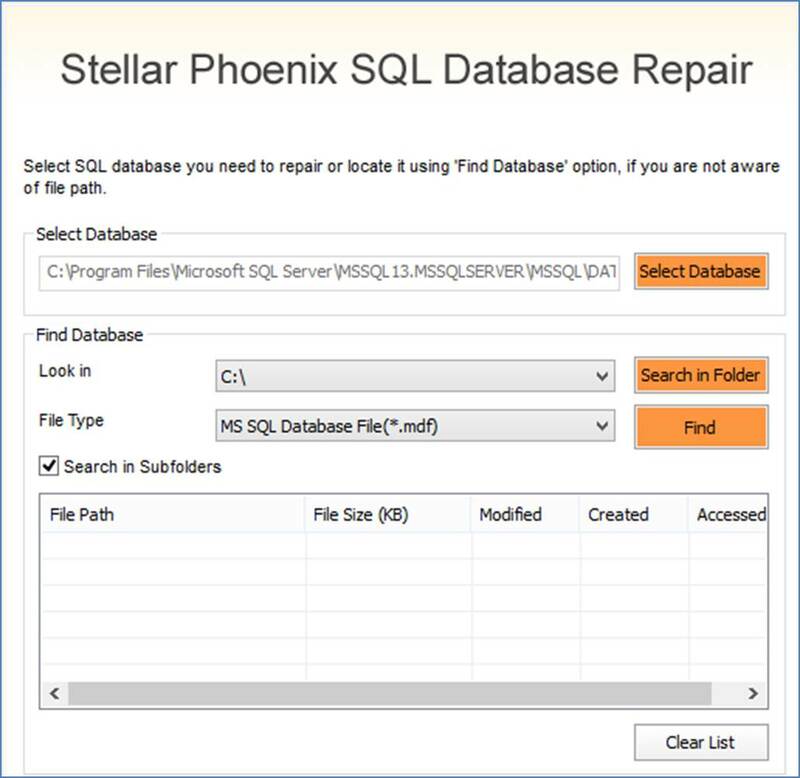 However, I would confidently say that the Stellar Phoenix SQL Database Repair tool provides you an easy way to recover your data. Let us look at an example to demonstrate features of the SQL recovery tool. Below database was corrupted and DBA was not able to access and the shown error was returning. 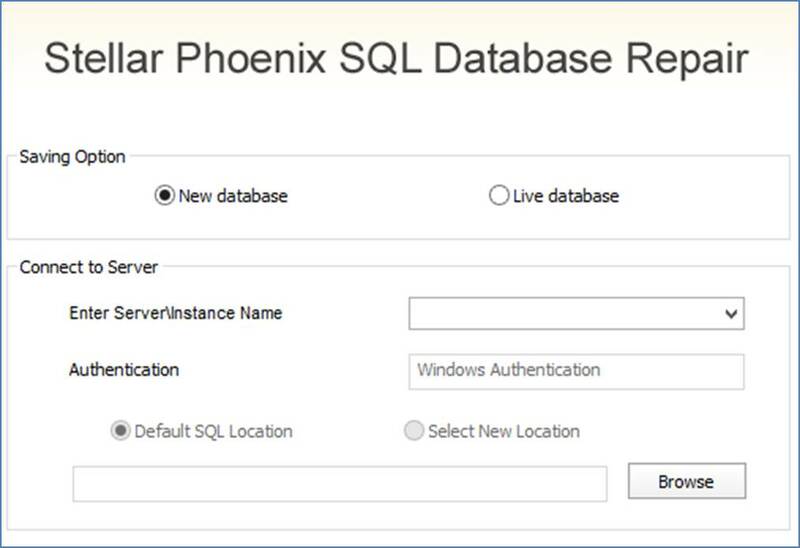 So the SQL Database Repair tool was used to recover SQL data and make sure that users can access the database as before. When the repair option is selected, below screen appears to select the corrupted database. Once the repair option is selected, above screen is displayed and you have several options of selecting the corrupted database. 1. You can directly select the corrupted database data file. 2. If you are not sure about the where the database .mdf file is, you can choose it by searching. After searching it will give you further details about File size, Modified date and Created date etc. Before selecting the repair button, you need to make sure that the database is detached-state or the SQL Server service needs to be stopped. Once the repair is done, user has the option of seeing the recovered objects from the tool as shown in the below figure. So the tool has the option of recovering any kind of SQL Server database-objects from corrupted database. Next step is saving the recovered data. There are four options to save, MSSQL, CSV, HTML and XLS as shown in the above figure. By default, MSSQL saves the file directly to the SQL Server .mdf file. If you think that option is risky, you can select one of the other three options to view the recovered data and after analyzing you can save it to the MSSQL data file. Once the MSSQL option is selected, following dialog box appears. In this, you have the option of saving to the live database directly. However, since you are dealing with corrupted databases and data, it is always better to save them to different location. 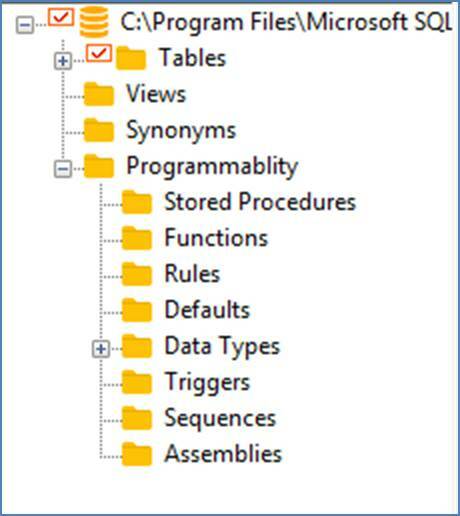 Also, you have the option of saving the database to the different SQL Server database altogether. After performing all the above steps, it was easy to recover data. During the repairing process, logs will be created. You have the option of saving the log and send it across. Also, there is a feature to clear the log, if not required. Though there are not much hard features, for a person who is using this for the first time, it is essential to provide some tips. At the main screen which is shown below, users have option to view the basic steps to be followed. Apart from the available support option, there is a dedicated Support team to help you by remotely accessing the instance. This tool supports SQL Server version up to SQL Server 2016 from SQL Server 2008 for any edition. 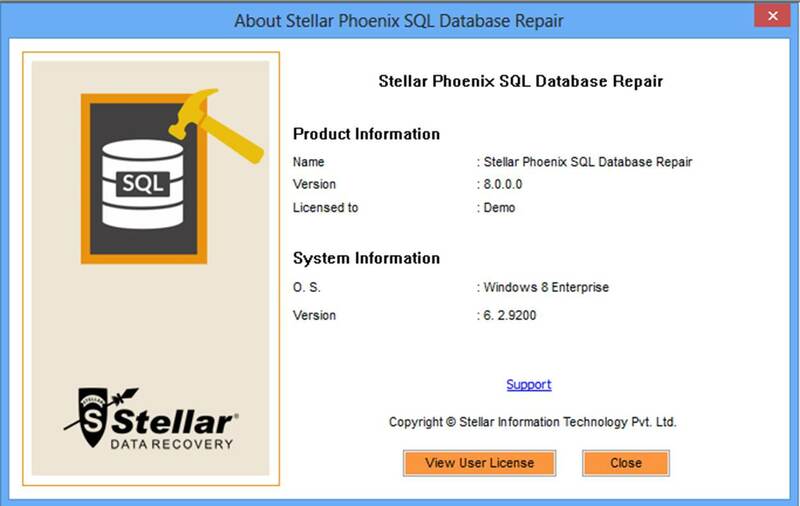 Stellar Phoenix SQL Database Repair software enables users to repair the SQL database and enable database recovery. I will rate this software as 9 on 10.